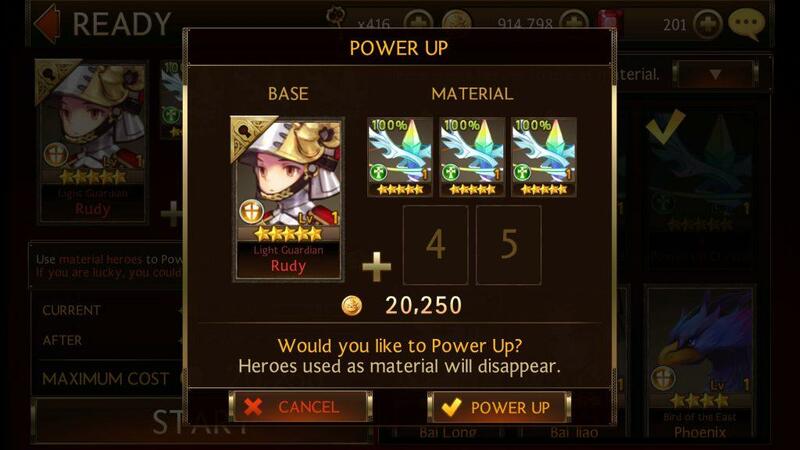 As mentioned in our article on Seven Knights fusion, there are two ways to Power Up heroes. 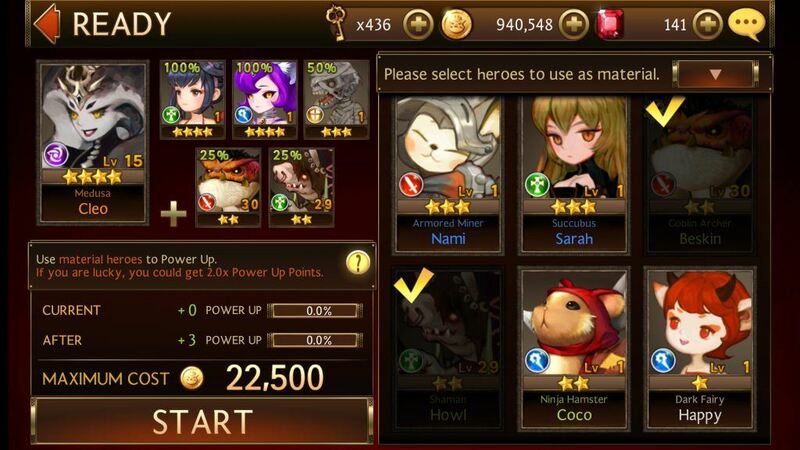 Visit the Hero management menu and select the fighter you want to upgrade. First, you can sacrifice same or lower rank heroes to power up. Same rank offers 100% power up, while one rank lower offers 50%, and decreases as you lower ranks. So using all those 1-star heroes you’ve collected are useful but only to an extent. You must sacrifice heroes until you reach max 5 power. Second, if you have similar rank Power Up Crystals you can use just like a similar ranked hero. 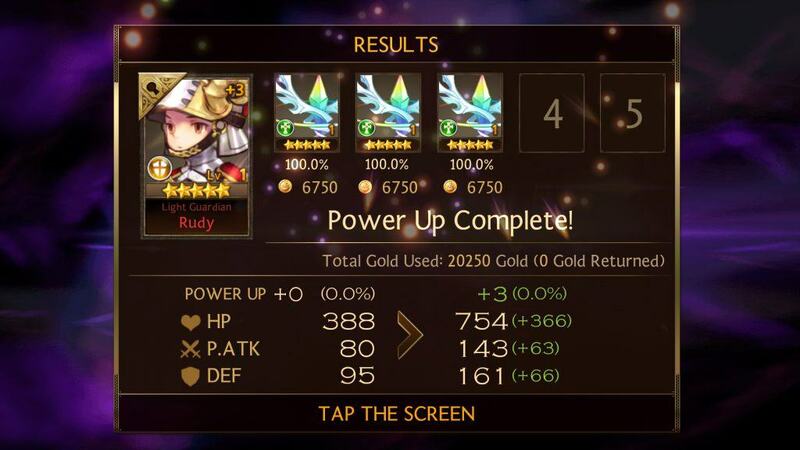 See in the above illustration we have 5-star Light Guardian Rudy and using three 5-star power up crystals- which upgrades him up to power 3 after a gold coin spend.